All students participate in our Physical Education program for a minimum of one hour a week. Our facilities include two indoor sports gymnasiums, one with a full sized basketball court. Our school yard includes; a grassed football oval surrounded by a three lane running track, cricket nets, fitness equipment and four basketball rings. During Physical Education lessons students are taught the Fundamental Motor Skills, about team work and about game play, which provides students with the opportunity to be exposed to a wide range of sports. Students in in grades 3-6 have the opportunity to represent the school in athletics, swimming and interschool sports. Cairnlea Park Primary School offers a weekly LOTE program for all students from Prep to Grade 6. Students are introduced to the Italian culture and language through song, craft and role play. They participate in discussions and use the latest technology to view authentic images and video clips. Cairnlea Park Primary School boasts its own LOTE classroom with access to an interactive whiteboard. Each year, Cairnlea Park Primary School hosts an Italian Day extravaganza with food trucks, musical and comedic performances, traditional costumes and soccer clinics. At Cairnlea Primary School all students participate in the Performing Arts program. During class time students are provided with a large variety of experiences to explore and learn about the four areas of music, drama, dance and media arts. Students are given opportunities to be part of extra-curricular activities including dance groups, network concert, band, choir and instrumental lessons. At Cairnlea Park Primary School, all students participate in our Visual Arts program for one semester each year. We provide them with a range of experiences to promote creativity. During Visual Arts lessons, students are taught techniques and skills related to painting, drawing, modelling, printmaking, collage and construction. At Cairnlea Park Primary School there are students who are learning English as their additional language. To support these students, the school offers an EAL program with EAL teachers and Multicultural Aides. This program provides EAL students who require assistance with meaningful language experiences. 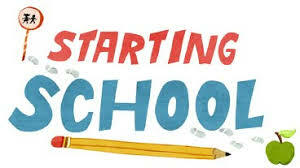 This will develop their ability to communicate effectively in the areas of speaking, listening, reading and writing.